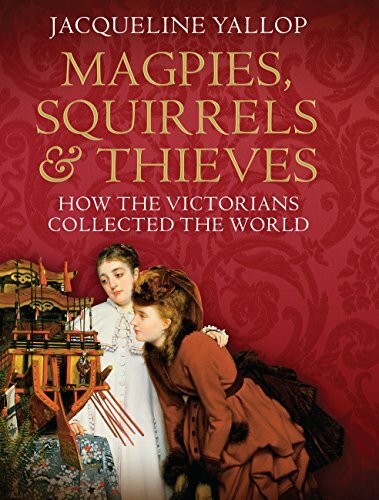 [PDF] Magpies, Squirrels and Thieves: How the Victorians Collected the World | Free eBooks Download - EBOOKEE! Description: During the nineteenth century, British collectors were among the most active, passionate and eccentric in the world. Drawing on journals, eye-witness accounts and news reports, Magpies, Squirrels and Thieves tells the stories of some of the period's most intriguing collectors, following their hazardous journeys across the globe. Closer to home, it explores the perils of dodgy dealing and forgery, the cut-throat world of the fashionable London market and the competitive spirit that drove the country's collectors, to build a picture of a fascinating world in the midst of change. From John Charles Robinson, curator of the new South Kensington Museum (known to us now as the Victoria and Albert) and his struggles with his superiors over the direction of the museum's collections, to Charlotte Schreiber, an aristocrat who shocked London Society by her marriages, first to an industrialist, and subsequently to the tutor of her children from silversmith Joseph Mayer in London and Liverpool to doctor Stephen Wootton Bushell in Beijing, Jacqueline Yallop traces the development of Victorian Britain's obsession with the collecting of beautiful things, both private and public. Along the way she explores how the modern roles of dealer, collector and curator emerged the expansion of local and provincial museums how collecting became a middleclass pastime, rather than being confined to the aristocracy, while the involvement of women and the impact of empire expanded the notions of what was collectable: from china and the oriental decorative arts to fans and playing cards. And we see how the Victorian era saw the emergence of a newfound obsession with things, with possessions and how they reveal our taste and status to others - one that remains with us to this day. No comments for "[PDF] Magpies, Squirrels and Thieves: How the Victorians Collected the World".